On Wednesday, 25 November, the New Zealand Climate Science Coalition (NZCSC) sent ripples through the climate cognoscenti by the release of a document showing that New Zealand’s average temperature had not risen by as much as its National Institute for Water and Atmosphere (NIWA) claims. Coming so soon on the heels of “Climategate” this document received widespread publicity at home and abroad, although almost no mention in the mainstream press even within New Zealand. 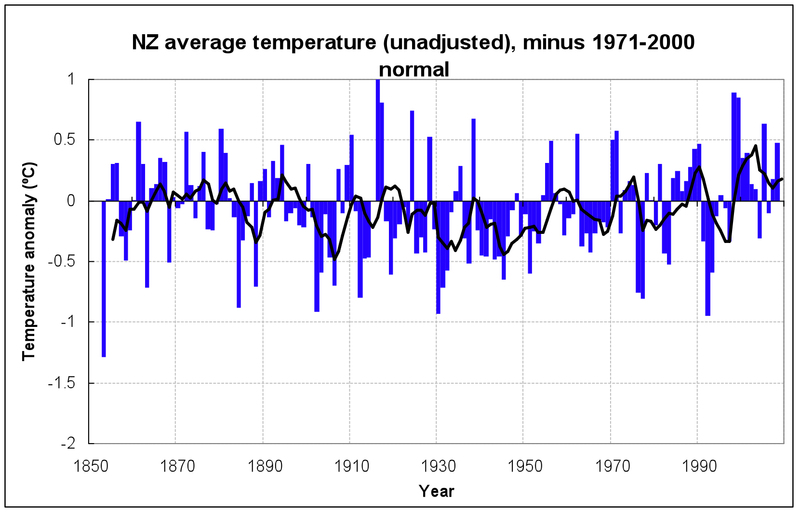 The NZCSC document discussed and graphed the annual average temperature based on observations and, for comparison, the NIWA-adjusted annual average temperatures for the seven New Zealand locations that, by virtue of long-term records, are used to determine the average temperature for the country – Auckland, Dunedin, Hokitika, Lincoln, Masterton, Nelson and Wellington. According to NIWA the temperature trend over the last 100 years has been 0.92°C/century, which is higher than the 0.6°C/century that the IPCC claims as the global average during the 20th century. In contrast to NIWA’s figures, the NZCSC reported a statistically insignificant warming trend of 0.06°C/century since 1850. To support its claims the NZCSC graphed the original and adjusted temperature data, along with the difference between them and the respective trends for the seven locations in question. For six of the seven stations – exception Dunedin – the warming trend calculated from the original data was significantly less than that from the “adjusted” data, with five stations having a difference exceeding 0.6°C/century. Trends based on the original data showed cooling for three stations but trends of NIWA-adjusted data showed just one. NIWA responded in a press statement released late the next day claiming its “analysis of measured temperatures uses internationally accepted techniques, including making adjustments for changes such as movement of measurement sites.” It then cited one example of such adjustments before also claiming that it had previously explained these adjustments to members of NZCSC. The final NIWA point surprised the Coalition, which has documented numerous instances of NIWA’s failure to respond to requests for this information. The Coalition pointed out that the first of NIWA’s points is a “fob off” that says nothing more than “trust us”, but Climategate has shown us that “trust us” is not a credible response in climate science at the moment and maybe never will be in the future. NIWA gave the example of an adjustment due to a change of location in 1928 from Thorndon, on the northern edge of Wellington city, to Kelburn, about 1km away but 120m higher, which NIWA claimed meant an average of 0.8°C cooler but which appears to be based on simplistic assumptions. Sure enough this shift appears on the NZCSC’s graph of the difference between original and adjusted Wellington temperatures but so too does an unexplained adjustment that slides in linear fashion across 1910-15 when it totals about 0.3C and a series of unexplained irregular adjustments since 1970. A close check of other graphs of the difference reveals a number of distinct steps that could be associated with a change of station location – as many as four for Lincoln. It appears that in some cases new and old observation stations operated simultaneously for a period that was perhaps long enough to sensibly calculate the average variation. In other cases though, one station ceased operation and simultaneously another started at a new location, so how was the variation between those sites determined? Adjustments for station relocations are reflected as a consistent difference between the original and adjusted temperature but several stations also exhibit extended periods of unexplained irregular differences between the original and adjusted temperatures. These bring to mind the “trick” described in the CRU emails but perhaps NIWA can account for the irregularities. In reality it needs to do more than that if it is to recover any credibility; it needs to fully describe all adjustments to the original data so that its calculations can be independently verified. There’s an enormous difference between no change in average temperature and what it claims is a rise of 0.92°C over the last 100 years, which it blames on human activity and is above the IPCC’s global average. Dr David Wratt of NIWA has consistently said that climate models predict that the temperature impacts of climate change are likely to be less for New Zealand than for most parts of the globe because New Zealand is surrounded by oceans. Perhaps this contradiction with the trend in NIWA-adjusted temperature data can be resolved by the graph of NIWA-adjust temperature for New Zealand in which it is clear that the overall trend is largely driven by temperature change between 1850 and 1950, with a flat trend in later years. The IPCC’s 2007 report said that human activity had very little influence on temperatures prior to 1950 and far more influence after that year, which leaves NIWA the difficult task of explaining its belief that human activity has driven the increase in what it claims is New Zealand average temperature. 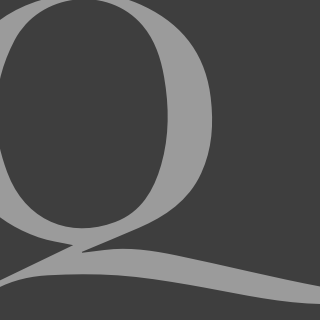 Coming on top of Climategate and the finding by Anthony Watts that 80% of temperature observation stations in the USA are not sited in accordance with quality standards but often near local heat sources, this claim by the NZCSC further raises the question of the accuracy of temperature monitoring and its subsequent processing. It seems absurd that governments are rushing to pass legislation that is ultimately based on data that is questionable and has never been independently audited. Global warming might well be man made, but only in the sense that temperature data has been manipulated. And in a final kicker to this story, the work to adjust the temperatures was started by former NIWA employee Jim Salinger when he was at the Climatic Research Unit at the University of East Anglia, which was ground zero for Climategate. John McLean is a member of the New Zealand Climate Science Coalition.